How to Become a Firefighter in New Jersey? How Much Do Firefighters Earn in New Jersey? The State of New Jersey’s fire departments have done an excellent job at protecting people’s lives and property and the numbers speak for themselves. According to the U.S. Fire Administration’s 2016 statistics, 1,000 reported fires in the nation resulted in 2.4 deaths and 9.3 injuries. Whereas in New Jersey, out of 1,000 reported fires, 1.1 deaths and 6.8 injuries were reported. New Jersey has been able to fare better than the national average due to its large and professional firefighting force. If you too would like to become a part of it, then continue reading more here. If you are confident that you can fulfill the above mentioned qualifications, then submit an application with your local fire station. If you are considered the right fit, you will be called for a set of exams including a written examination. If you pass, you will be asked to appear for an interview. Once you clear that stage, you may be given a conditional offer of employment. Upon acceptance, you will enter the training phase at a fire academy. As a recruit, you will learn the essentials of firematic functions. You will be taught how to respond to alarms and how to assist fire personnel in firefighting and emergency duties. Throughout your training, you will be closely monitored and evaluated to determine whether you meet your employer’s required standards. Once you successfully graduate, you may be put on a one-year probation period. Once you complete this period, you will be assigned to a specific unit. Recruits are typically paid during the course of their training. However, they receive less salary and fewer benefits, if any, than seasoned firefighters. Once recruits successfully complete their probationary period, their remuneration package is normalized. Firefighters make the most in New Jersey, more than any other state in the United States. The following statistics are taken from the US Bureau of Labor Statistics (BLS) and hold true of May 2017. As can be clearly seen, New Jersey is not the biggest employer of firefighters, but it pays them the most, more than California, which is the biggest employer of firefighters. According to the BLS, jobs in this field will grow at the rate of 7% nationally from 2016 to 2026. Tip: If you can’t find employment right away, consider volunteering at your local fire station. 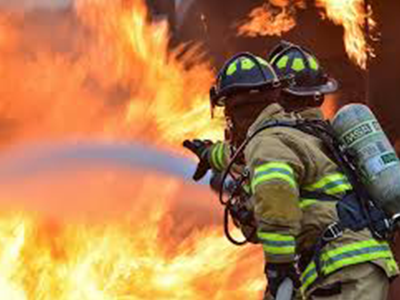 This will help you learn skills to become a firefighter and network. So, when a vacancy comes up, you become the most suitable candidate for the job. Toms River Fire Department is the largest volunteer fire department in Ocean County, NJ.